There are so many wedding resources to chose from, and it really can be overwhelming. It is fun to pick up Martha Stewart's Wedding Magazine, to skim the pages of the dream weddings she does, but which ones are worthy of picking up, and which one are meant to only collect dust. That will be for you to decide, but here are list of online resources that are worth mentioning. TheKnot.com is a really great website. It is full of so much info and great tools to use, its great to join, chat with other brides in your area to gain perspective as you go about your wedding planning process, and much more. Here's a link to "Getting to know theknot.com" post, if you aren't familiar with it. WeddingChannel.com is great to have your registry info, such as Macy's, Crate and Barrel, etc. You can build your registry with ease here, and even make it possible to have charitable donations come out of the money spent on gifts for you, 5% or so goes to a charity of your choosing. Advise your guests of this, they'll appreciate you doing that. WeddingWire.com is another great online resource. Here you can search for vendors in your area as soon as you enter the site, and you can view whom recommends them, both on the professional side from other vendors that worked with them in the past, as well recommendations from brides whom have used them. Yelp.com is an excellent way to learn of what people are saying about certain businesses, definitely worth checking vendors you have found in your search, and putting them up against the word of savvy brides using yelp to help the vendors out, or to even suggest they might have had issues with a vendor. If you see a vendor, and nobody can say yay or nay on them, be wise to check the BBB (Better Business Bureau), www.bbb.org, just to see how they score, if they have had complaints launched against them, etc. If you're in Arizona, a great "vendor" website is PhoenixBrideandGroom.com, as well they have a magazine in stores. This is a great place to start the vendor search, its locally dedicated. Other cities/states have similar quality sites as this, see whom on theknot.com might advise for your city. Good luck in your vendor search! Happy planning! Personally I love Zankyou.com. 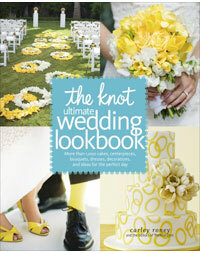 They have a great wedding magazine, free wedding websites, and a cash wedding registry all on one site. Their registry is also the best price on the internet as far as I could find. They only charge 2.85 percent for having a cash wedding registry.